Join the SC Crowd for Q & A Day! In case you don't know about this PLN (Professional Learning Network) @SCCrowd is a Twitter group specifically for School Counselors. While there are many Twitter PLN's out there, each really has a specific role and purpose. All the State Associations and @ASCATweets are there to provide information about their association, upcoming conferences and general information applicable to all counselors. #scchat is a monthly school counselor chat, where each month a topic is announced prior and then discussed the evening of the chat. #escchat is for elementary school counselors and works the same as #scchat. Then there are other chats as well, #sbmhchat, #psycchat, #scprezchat, #edchat, #spchat, etc. But, do you ever wonder which chat you should join? Do you ask yourself, "What resources could help me with my initiative?" or, "How would someone else have handled that situation?" or even, "Is there anyone else dealing with the same challenge that I am?" Do you have knowledge that can help school counselors? Do you know of great resources or have inspirational experiences to share? Join us for Q&A Day on #SCCrowd on Tuesday, November 19th! 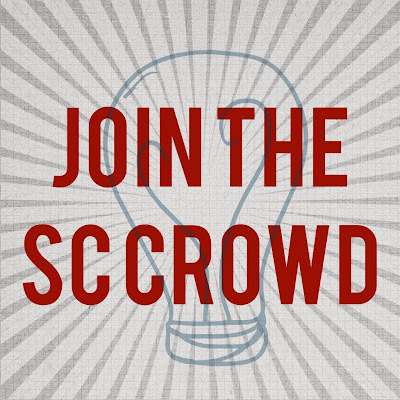 Using the hashtag #SCCrowd, ask a question that is inspired by something from your day (or anything else that might be on your mind). When you leave work for the day, check out #SCCrowd and see if you have an answer or follow-up to someone’s question. Then from 8:30-9:30 PM EST Tuesday night, join for a live chat on #SCCrowd to help answer questions that haven’t been addressed yet. Get answers to your questions and help others out there in the School Counselor Crowd! Ask a question, share and answer, join the chat. Anyway you participate can help you grow your PLN! Live Chat on #SCCrowd 8:30-9:30 PM EST, moderated by @rawolfson. I know I'll be there (@tmscounselor)!